Summer is drawing to a close and we will soon be back to a normal school schedule again. 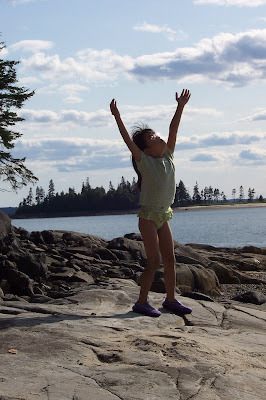 I wanted to share a little about our summer learning before summer is over. We did a bit of math every week just so we wouldn't have to review in the fall which was the least exciting part of our summer learning. We also read lots of great books and Jacob read a number of books on his own. This year we managed to find a monarch caterpillar after searching many milk weed plants over several weeks. Last year, we had found a monarch caterpillar as well but he was sadly lost in a clump of blackberry bushes when we were attacked by angry hornets. I managed to step right in the middle of a great big nest and in our screaming hast to flee the scene, last years caterpillar and the uncovered container he was in went flying through the air and landed in the middle of the blackberry bushes near the very angry hornet's nest. Mom was not going back in to try to find the caterpillar despite her son's teary pleadings. It was hard to tell if he was crying more for the caterpillar or his hornet stings. Anyway, this year Jacob named his caterpillar, Chomper, because of his voracious appetite. We were all amazed at how quickly Chomper grew, formed a chrysalis, and then turned into a beautiful butterfly. "The Very Hungry Caterpillar" book has a whole new meaning for us now (emphasis on very hungry). I found some fabulous free story prop printables from Kiz club which we used to act out "The Very Hungry Caterpillar" story with Rosa. The rest of our summer learning involved free library programs, local field trips, travel, audio books and music CD's in the car, learning simple embroidery, and more nature study. 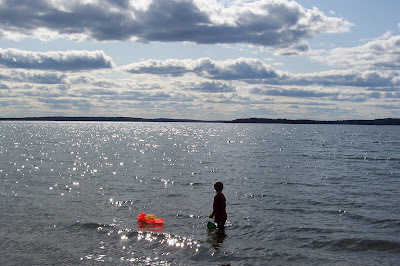 We are going to pack in a bit more summer learning and beach trips over the next couple weeks as we slowly ease into a more structured school routine again. You can check out some visual examples of our summer learning below. 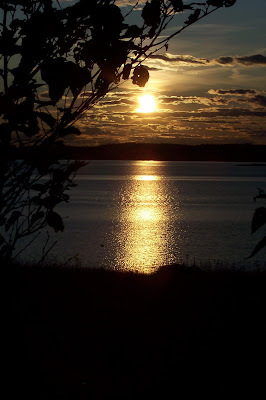 I have decided to take the summer off from blogging. Summer is such a short season here in the Northeast. I don't want to be spending any more time then I have to inside on the computer. Have a great summer and see you in the Fall! I just added a list of my favorite websites on the right hand side bar. Just scroll down and you can check them out. 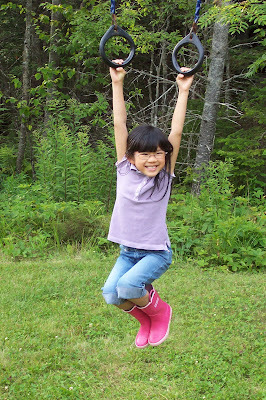 I have been meaning to write a post summarizing our year's curriculum for some time. I know I am always interested in what others are doing. 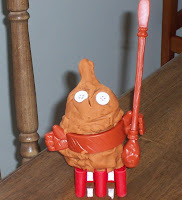 In this post I will summarize what we have used for Jacob who is in first grade. We also read many of the books by Arnold Lobel mentioned in my Teaching Your Child to Read post. Isaiah has almost finished Alphaphonics and this last month we started reading from The Beginner's Bible which has been a great next step. We use the Charlotte Mason method of oral narration to assess Jacob's reading comprehension. You can read more about this method here and find lots of narration ideas at Simply Charlotte Mason. I have Jacob orally narrate back to me what he remembers from our history, science, Bible, and other books we read. We have read and listened to a number of great books this year. I will add our favorite fiction books that we have read or listened to this year below. I am so thankful for audio books because I only have time to read so many books out loud. In addition to copywork, Jacob has dictated his own stories to me which I write out on three lined primary paper for him to copy. He has written a couple of stories himself by sounding out words phonetically. I correct the spelling, punctuation, and grammar mistakes on Jacob's favorite stories and then he rewrites and illustrates them. Jacob has also written letters and thank you notes to family. We have used words from Alphaphonics, Explode the Code books, and misspelled words from Jacob's writing for spelling. I have him write out his words on the chalkboard or dry erase board. He also spells his words to me orally and we have used the free Spelling City website to practice and play games with his spelling words. The best thing I have found this year related to spelling is a wonderful resource called The ABC's and All Their Tricks: The Complete Reference Book of Phonics and Spelling. This book has taught me so much and I have been able to explain why most words are spelled the way they are when Jacob asks. One rule that I can't believe I was never taught is that K is used before e, i, or y. Jacob kept asking me if a word started with c or k and after learning this rule he was able to figure it out on his own. We keep grammar pretty simple. We discuss punctuation when I go over Jacob's writing work and we also read stories about nouns, verbs, and adjectives. I have listed some of these stories below. Just recently, I gave Jacob a Mad Libs Junior book and he had great fun filling in the nouns, verbs, and adjectives to complete the silly stories. Mad Libs Junior books provide a list of nouns, verbs, and adjectives which can be used in the stories. This allows younger children to enjoy them. Some of the words provided are words we do not use in our house like stupid or a certain bodily function noise so I have Jacob cross those out. He has certainly heard those words from other children before but it is something to take into consideration if you plan on buying Mad Libs Junior. We have put on our own little plays and puppet shows. The kids have both enjoyed acting out their own version of "The Three Bears", "Cinderella", and a story which Jacob wrote himself. We have memorized a couple short Bible verses but we could have done more in this department. Jacob also enjoyed putting word cards in alphabetical order by the first letter. I wrote out individual words on index cards and he laid them out on the floor in the correct order. In addition, I showed Jacob how to look up words in the dictionary. We used Miquon Math (orange and red books) for Jacob this year and it has been a good fit for him. We did have a little trouble with fractions and had to come back to them later in the year. Jacob is very good at math and Miquon Math is great for kids who are kinesthetic learners. It is more parent intensive then some programs on the market and it would not be a good program for parents who are uncomfortable teaching math. If you decide to go with Miquon Math, you will definitely need the Lab Sheet Annotations teacher's book. You will also need a set of Cuisenaire Rods. We also found a set of Unifix Cubes to be very helpful and I would recommend Unifix Cubes to go along with any math program. Miquon Math only goes to 3rd grade so we will have to find a different math curriculum after that. Miquon Math is giving Jacob a very strong foundation in math and we will definitely be using it all three years for him. I am looking into other programs for Rosa because I feel Miquon Math would be too challenging for her. You can read more reviews of Miquon Math at HomeSchoolReviews.com. In addition to Miquon Math, Jacob has done lots of dot-to-dots which he really enjoys. I have made up oral word problems for him to solve, we have read some enjoyable math related picture books, and we have played with our balance scale, geoboard, magnetic pattern blocks, tangrams, and time and money flash cards. We really liked the tangram books, Tangram Magician and Three Pigs, One Wolf, and Seven Magic Shapes. You can print your own tangram puzzles here. We also printed and used our own custom calendars from DLTK, played Bingo, Addition in the Amazon, and Skip Bo. You can check out our favorite math story books and more under the Kids Love Learning Favorites: Math section. I created my own World History Unit Study which covered Creation to the Fall of the Roman Empire. I really like the book, A Child's History of the World by Hillyer, which is available to buy through Sonlight. I did not have the money to buy the complete Core Package from Sonlight and I wanted more hands on activities which was why I created my own unit study which included Bible history. We also used the The Usborne Book of World History and lots of other books which you can check out under the Kids Love Learning Favorites: World History section. 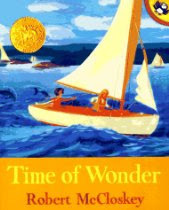 In addition to books, we used a time line book from Sonlight called Book of Time. I also bought Sonlight's time line figures which worked well. You can make your own timeline book and I wrote about that under my Ancient Egypt Unit blog post. This year I am making my own time line stickers using the wonderful clip art site Clipart ETC. We used Blackline Maps of World History for map work and I highly recommend these maps if you are studying World History. Each map has instructions which make them easy to use. We included crafts and activities in our study of World History as well. I wrote about some of these in my Ancient Egypt Unit blog post. I made up my own science units with books from the library and other interesting things I found. This year we learned about animals, the human body, space, magnets, volcanoes, growing a garden, and more. You can check out some of our favorite science books under the Kids Love Learning Favorites: Science section and Nature & Animals section. The "Lets Read and Find Out Science" books are great for early elementary students. I also found some simple and fun experiments to go along with our units in Janice VanCleave's Earth Science for Every Kid and The Human Body for Every Kid books. We probably had the most fun using The Body Book to make models of the skeletal system, the digestive system, and the respiratory system. You can see one of the models we made in my post here. If you decide to study volcanoes, don't miss the free Volcanoes Lapbook on Homeschool Share. This spring we have focused on nature study and starting seeds inside. Jacob began his own nature journal which I wrote about a few weeks ago and you can read about below. We have greatly enjoyed listening to The Burgess Animal Book for Children which you can listen to for free on LibriVox. The Burgess Bird Book for Children is another wonderful free audio book on LibriVox. We have read through one of our many children's Bibles this year to go along with our World History unit study. In addition, we have found some other great character building books which the kids have enjoyed. They are listed below. We did a number of fun projects related to our world history study including making a cave painting, making clay coil pots, designing a Greek vase, weaving a very small blanket, and creating a mosaic. We read a number of art related picture books from the library. You can check out our favorite art books under the Kids Love Learning Favorites: Art section. Jacob greatly improved his drawing skills by using the Usborne I Can Draw Animals book, the Usborne I Can Draw People book, and Draw Really Cool Stuff. You can read more about how the Usborne books inspired Jacob in my blog post here. You can also read about the rest of our random art projects this year under Art. Jacob began learning how to play the keyboard this year and my husband has been teaching him. The Pretime Piano books were a big hit. These are books of very simple well known piano songs for beginners. Playtime Piano books are the next step and a bit more advanced. We listened to lots of great classical music, learned about the Orchestra which you can read about here, and borrowed our favorite children's music CDs and books from the library. You can check out our favorite music CDs and books under the Kids Love Learning Favorites: Music section. In addition to the above activites, we had family sing-a-longs with the guitar which my husband plays. We enjoyed attending music concerts in the community including a concert of Peter and the Wolf done by our local orchestra, children's concerts covering the instrument families also done by our local orchestra, and music performances at a near by college. Both my kids had fun playing their rhythym instruments and lap harp. We have had a great year and I am having fun planning for next year. A book which I find very helpful when planning out my school year is Home Learning Year by Year by Rebecca Rupp. This books gives me a general idea of areas to cover for each grade level and lists many excellent homeschooling books and curriculum for each grade. As you can see, we are very eclectic in our approach and I try to find things that make learning fun for our kids. Both Jacob and Rosa are doing well academically and are at or above where they should be in most areas. A good education should not be dull in my opinion. I have learned as much or more then my children have in all the subjects we have studied. 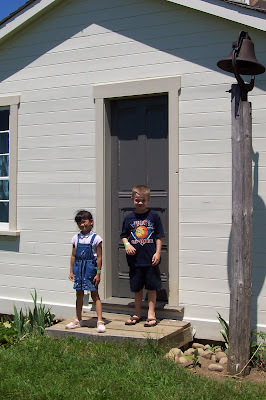 A major benefit of homeschooling for me is getting to learn right along with my children. We all get excited about learning. Now I have to admit that not everything we did was fun. I find spelling to be tedious and it was never my favorite subject. We very recently started a new spelling curriculum which has been very enjoyable so far. If it works for us next year, you will be sure to see it on this blog. As I mentioned above, we did get bogged down in fractions for a little while and had to take a break and come back to this subject later. Jacob also had a period of time where he did not enjoy reading out loud. It was hard work for him sounding out all those words and hard work is not always fun for children. I found some books that he enjoyed more and that helped quite a bit along with keeping his reading practice to 15 minutes a day. Now that Jacob is getting more proficient at reading, he is volunteering to read easy books to his sister and tonight he was a reading a new library book out loud to himself with no prompting from us. His hard work is paying off and this has been a good lesson in perseverence for him. Well, that is most of what we did this year. There is so much great curriculum, games, books, and activities to choose from now days. 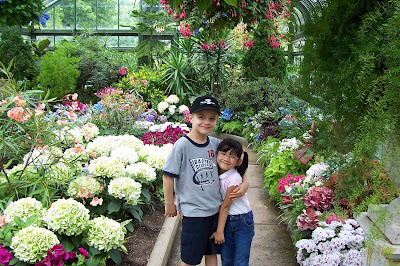 I try to narrow the choices down based on my children's learning styles and interests, what I have available to our family free through the library, and what gets consistent great reviews from other homeschoolers. This strategy has worked well and I have had good success with most of the curriculum I have purchased. I have not listed the few things which didn't work for us. That may be good material for another post. I just discovered this wonderful site with 100's of free math tutorial videos on YouTube. It is called Khan Academy and it covers everything from basic arithmetic and algebra to differential equations, physics, and finance. According to the Khan Academy site, "Salman Khan founded the Khan Academy with the hope of using technology to foster new learning models. Sal received his MBA from Harvard Business School. He also holds a Masters in electrical engineering and computer science, a BS in electrical engineering and computer science, and a BS in mathematics." He is obviously a bright guy and he has an engaging way of presenting concepts in his videos. Jacob enjoyed watching a couple of the videos tonight. I added this site to my favorites so the next time Jacob gets stuck on a subject like fractions, I can see if there is a video to help me explain the concept. The video below covers equivalent fractions. 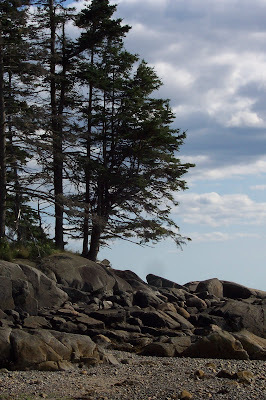 If you would like to learn more about Maine marine life, there are some wonderful free resources on the web. 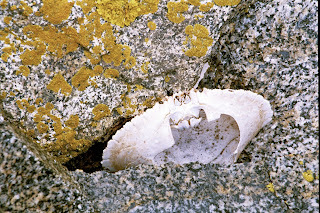 The Maine Department of Marine Resources has a very nice Teacher's Guide to Marine Life of the Gulf of Maine which has information about clams, mussels, oysters, scallops, crabs, shrimp, lobster, sea stars, sea urchins, sand dollars, sea cucumbers, and more. 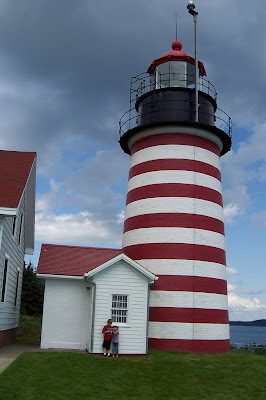 Another great resource is the Gulf of Maine Marine Coloring Book. If you want to learn more about lobsters, you can print the free Lobster's Life Coloring Book for younger children and a Lobster Booklet for older children and adults. A couple of months ago, I decided to buy a copy of The Heart of Wisdom Teaching Approach by Robin Sampson. 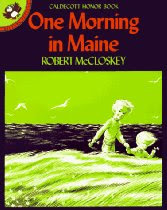 I just have to say this is one of the best homeschooling books I have ever read and I have read a lot of homeschooling books thanks to the wonderful inter-library loan system through my town library. 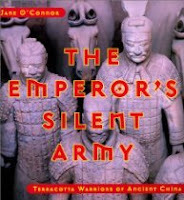 This book had been on my Amazon.com wish list for some time and I finally ordered it. I am so thankful I did! I have a very eclectic style of homeschooling. I love using Charlotte Mason methods, a four year chronological history approach incorporating the Bible, timelines, hands on projects, lapbooks, and unit studies. Robin Mason has managed to combine all my favorite educational methods in one book while teaching me a whole lot about the Bible at the same time. I felt like Robin had gotten inside my brain and written a book just for me. The Heart of Wisdom Teaching Approach incorporates the following teaching methods. The Heart of Wisdom Teaching Approach has inspired me to put Bible first in our day and this has been a blessing for our family. In a future post, I will share some of the great Bible resources and character building books we have discovered through a number of sources. 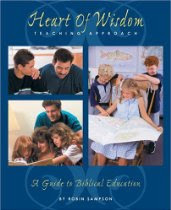 At the end of The Heart of Wisdom Teaching Approach, you will find a wonderful extensive list of books covering history (from creation to the present times), science (general, creation, physical science, meteorology, oceanography, botany, earth science, astronomy, marine biology, and more), wisdom, missionary biographies, classics by grade level, and more. This has been a great year of homeschooling for our family but I still felt as if something was missing. I usually pray daily for wisdom concerning how to best teach our children. God directly answered my prayer by pointing me in the direction of a book with the answer in the title and more importantly in the content of the book. This book wrapped up the loose ends of the teaching approaches I was already using. If you would like to download a free 70 page excerpt from the book, then head over to the Heart of Wisdom website. You can download excerpts from other Heart of Wisdom Publications and print free Old Testament Bible Worksheets and New Testament Bible Worksheets there as well. I have been waiting for spring to start a nature journal with Jacob. I know we could have started one in the winter but I am not a huge fan of being outside in the cold and thought it would be much easier in the spring. 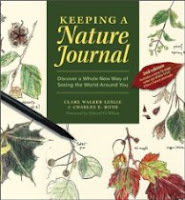 I got the book, Keeping a Nature Journal, out of the library and that has been a great help in inspiring me to begin and giving me ideas on directions we could go in. We are keeping it simple right now and Jacob has been drawing pictures of flowers, birds, worms, bugs, etc. that we have seen in our yard. I have Jacob write the name of the plant or animal and the date he drew the picture. We have looked up more information about some of the things we have found in our yard on-line and also in our copy of The Handbook of Nature Study. You can go here to download a free copy of the book to view on your computer. It is a wonderful book and Jacob has enjoyed having me read sections from it. Jacob has been more enthusiastic then I thought he would be regarding keeping a nature journal. 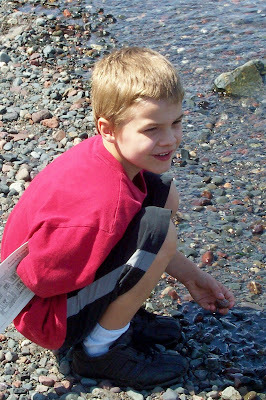 We have been going on nature hikes since he was little and sharing our love of nature with him which he seems to have caught. He has also developed an interest in drawing this last year since I started him with the Usborne I Can Draw Animals book. We then moved on to Draw Really Cool Stuff which has helped him learn how to draw bugs, birds, and animals. I think this year was a really good year to start a nature journal because Jacob is now able to draw things quite well without getting frustrated. I give him simple drawing technique suggestions every once in a while but I mostly just provide him with drawing books, paper, and drawing pencils and let him do his own thing. I have included a couple examples from Jacob's nature journal and some other helpful websites below. 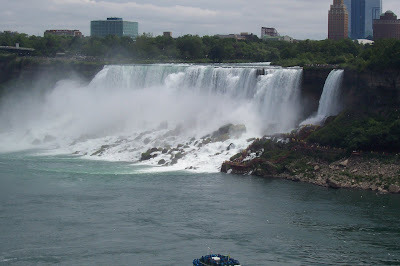 I highly recommend visiting The Handbook of Nature Study Blog for inspiration and ideas. 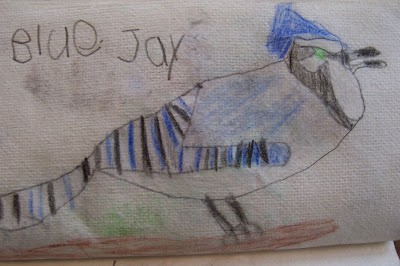 If you want to learn more about starting a nature journal then head over to Home-Made School. We are busy getting ready for Easter this week. I volunteered to have family over for dinner and this has given me a good reason to get a little spring cleaning done. The kids and I are taking a couple of mornings this week to work on cleaning the house together. My kids actually enjoy helping with cleaning which is a huge blessing. We have started doing Resurrection Eggs in the evenings which is a yearly Easter tradition for our family. The kids love hunting for an egg, seeing what object is in the egg, and then reading a short portion of the Easter story from the Bible every night. You can buy Resurrection Eggs at Christian Book Distributors or you can make your own. We made the eggs in my MOPS group a number of years ago and you can find instructions for making the eggs here. Resurrection Eggs are a great way to introduce your child to the Easter Story. Jacob was asking for some Easter activities today, so I started searching around the internet and found a really cool Resurrection Eggs lapbook at Just Call Me Jamin. There are links to all the free printables you will need to complete the lapbook. Homeschool Share also has a free lapbook based on "The Legend of the Easter Egg" book. 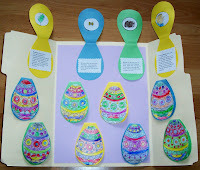 We used a few of the free printable there to make a simple Easter book. One other project I hope to tackle this week is making tie-dyed Easter eggs using old silk ties. You can see some beautiful examples of these eggs at Our Best Bites along with instructions on how to make the eggs. My husband has some old ties I am sure he would be willing to sacrifice for a good cause. Every homeschooling mother is going to have areas they are weak in and my weakest area is definitely physical education in the winter. In the spring, summer, and fall it is easy to find physical education activities to do like hiking, riding bikes, swimming at the beach, or playing baseball or soccer in the back yard. I really struggle with physical education in the winter because we live in the North and I dislike the cold. We go sliding, skating, and cross country skiing every once in a while, but not enough to qualify as weekly PE. I was very happy to discover the "Move Your Body" Thumball. As you can see in the example to the left, the Thumball has many panels, each with a different movement activity. The game is simple in that you throw someone the Thumball and after they catch it, they look under their thumb and act out what is written on that panel. My kids loved playing with the Thumball and we acted out the movements together. There was lots of laughter and I even worked up a sweat. The movement activities are a great way to help develop a child's gross motor skills and a fun way to get some exercise inside the house. 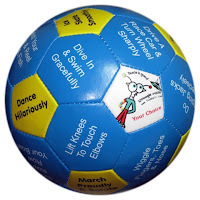 There are lots of other Thumballs that would be great for a kinesthetic learner or just a good way to reinforce a variety of concepts for all learners. The Thumballs I was most interested in were "Numbers", "My ABC's", "Parts of a Story", and "Tell The Tale". I think homeschooling or church groups would have fun using the "Ice Breaker" and "Who Are You" Thumballs which provide a fun and active ways for children to get to know each other. You can learn more about Thumballs here. CurrClick is offering a free Amelia Earhart lapbook from Hands of a Child this week. It is a very nice lapbook so be sure to pop over to CurrClick and download your lapbook before the week is over.